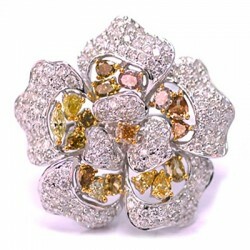 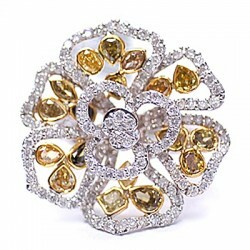 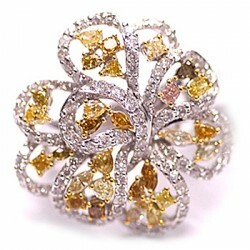 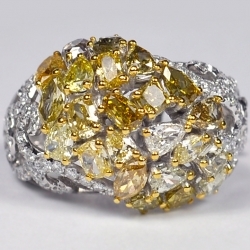 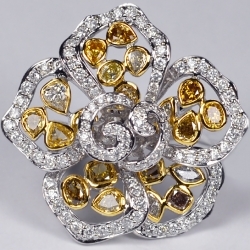 Inspired by one of the most beautiful organic creations, we can proudly call our floral ring the piece unique! 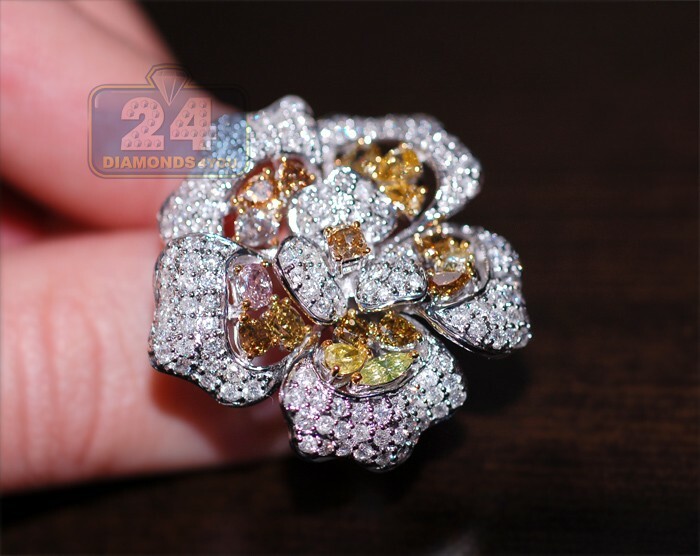 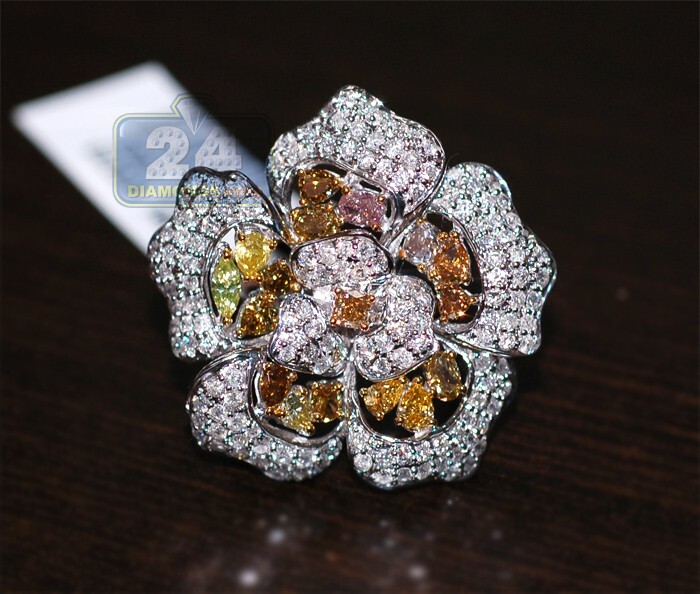 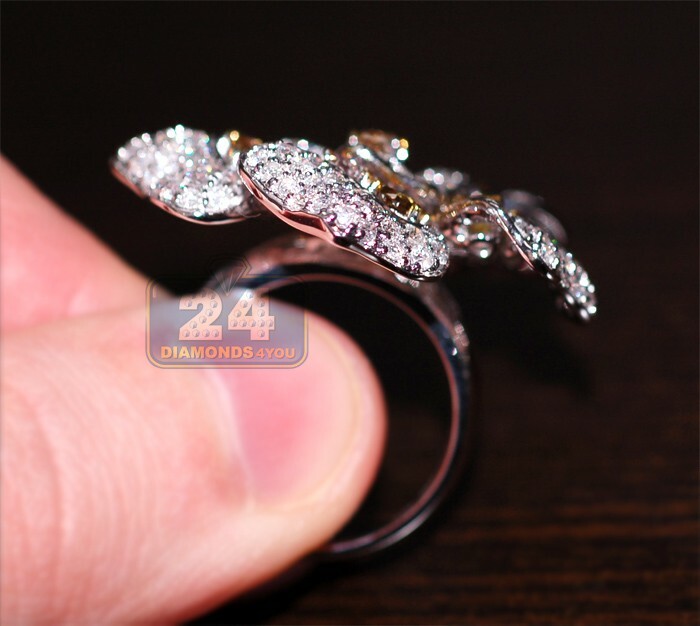 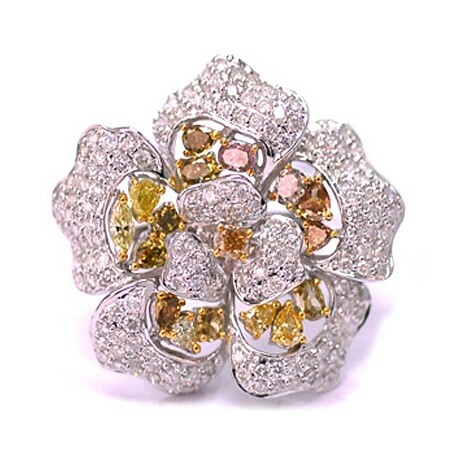 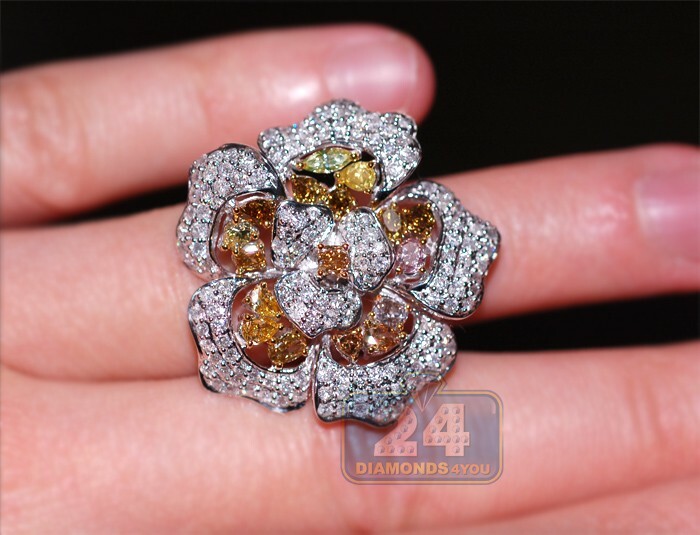 Its amazing setting is masterly produced in lustrous 14k white gold with shiny polished finish, and features a simply beautiful flower design encrusted with breathtaking natural fancy colored and white diamonds weighting 4.48 carat. 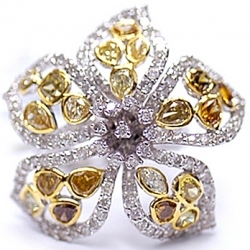 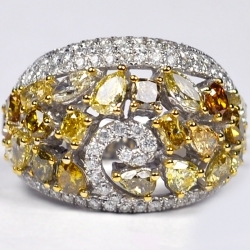 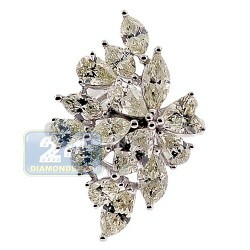 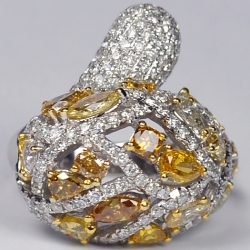 These brilliants are presented in various shapes like pear, oval and round as well as different colors and shades. 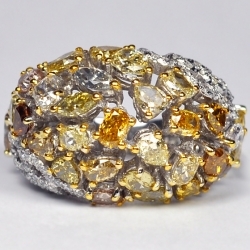 Simply one of a kind!